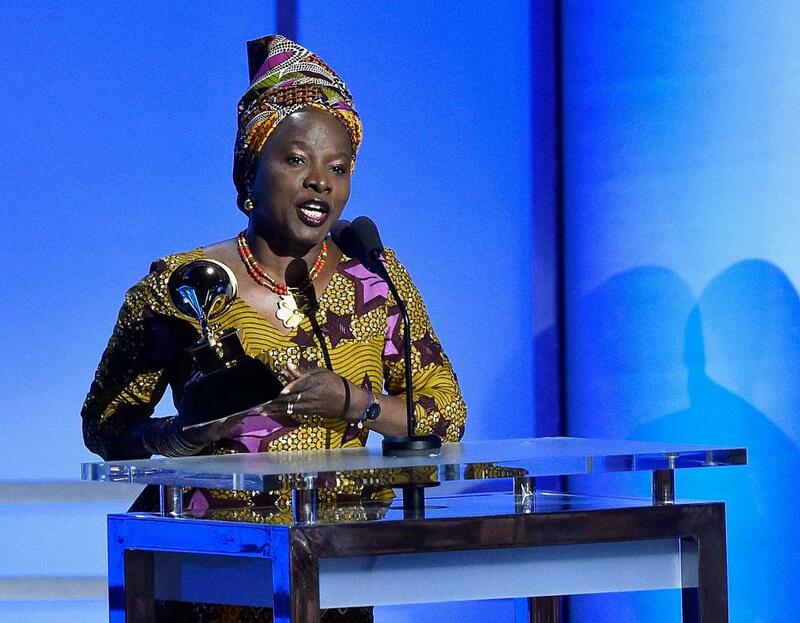 ‘Africa is on the rise’ – Grammy winning Kidjo - T'sup UG? A break from the normal; this year’s Grammy Awards were held on Monday night other than the traditional Sunday. But that wasn’t all, over the years, the audience from Africa has been catching music’s biggest night on South African music TV Channel O, but now, almost a year since they shut their doors to the rest of the continent, it was hard knowing where the live telecast would be. The awards were though live on Vuzu Amp one of those DSTV channels people barely talk about. There more reasons why Africans were interested in this year’s Grammy Awards than those before – truth, it wasn’t the first time an African artist was getting a nomination but was one of those rare moments where more than one African was up for the gramophone. Much as there has always been excitement every time an African is nominated for the Grammy Awards, many have complained about a blanket nomination which tags all the different African and nonwestern music genres as ‘World Music’. For instance this year, Angelique Kidjo and Ladysmith Black Mambazo were placed in the same category as Brazilian Gilberto Gil’s samba album and Indian sitar player Anoushka Shankar. Kidjo won, making it her third Grammy gong in this category for Sings, beating even the most reviewed Zomba Prison Project, an album conceived of by American writer and producer Ian Brennan comprising of recordings by prisoners at the Zomba Central Prison located at the border of Malawi and Mozambique. While accepting her award, the Beninese singer dedicated the award to traditional artistes and the young generation in Africa, saying that there is a lot of music in the continent that the world must bring themselves to discover. “Africa is on the rise, Africa is positive, Africa is joyful,” she said during the non-televised pre-show. Sings merges African songwriting and rhythms with European classical instrumentation, a fusion on which Kidjo has always experimented. Her win was the second straight one for Kidjo who won the same award for Eve at last year’s event. Besides Kidjo, Africa was well represented in other categories, Rocky Dawuni, Ghanaian reggae artist was a nominee in the Best Reggae Album for his latest project, Branches of the Same Tree, but lost to Morgan Heritage’s Strictly Roots. South African artist Wouter Kellerman‘s Love Language is also nominated for Best Contemporary Instrumental Album. Neville Diedericks, also a South African gospel artist was nominated for Best Gospel Performance/Song for his part in Israel & New Breed’s How Awesome Is Our God featuring Yolanda Adams. Regarding on the way you look at it, other nominated Africans included Nigerian-American artiste Jidenna for his hit single Classic Man that was nominated for the Best Rap/Sung Collaboration and Ethiopian/Canadian act the Weeknd won two awards out of the seven nominations. In other Grammy news though, Kendrick Lamar got into the night with the biggest number of nominations at eleven but managed to get only five of them. Taylor Swift, Ed Sheeran and Mark Ronson and Bruno Mars, and Meghan Trainor won the top awards of Album of the year, Song of the year, Record of the year and Best New Artist respectively.